Posted September 12, 2011 9:42 am & filed under News. Green Valley Gardeners post pictures and cactus reviews in the local paper. 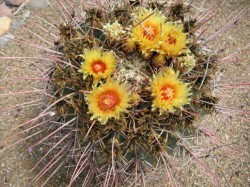 Here’s the barrel cactus article. New flowers may have to fight their way through masses of spines. 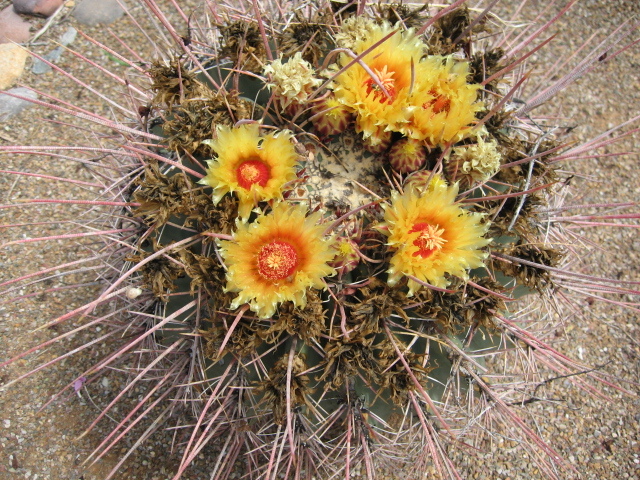 Barrel cacti are currently alive with color. Riding along the highways and glancing across the desert, you get an idea how many of these cacti are growing throughout the area. Pretty pictures, those Green Valley Barrel Cacti that make it into the local newspaper.